Mallorca is an exceptional island of Balearics. It’s a heavenly island of deep experiences. Sandy beaches, small bays, rocky cliffs next to the perfectly clear Mediterranean Sea make Mallorca flawless place to calm your nerves, relax. It’s a balm for a body and mind. This exquisite climate is appreciated not only by Europeans. This one of a kind island will carry you away. It’s astonishing features will make you came back. Palma de Mallorca will mesmerize you with it’s magic vibes. Harbours with luxury yachts, old town and marvellous La Seu Cathedral, medieval lanes with Art Nouveau townhouses, greenery everywhere, palaces with refined ornaments, restaurants with local cuisine… Untroubled, full of positive energy Spanish climate makes this place bustle with life all the time. All those things makes Palma de Mallorca outstanding place that makes us forget about every-day reality. Valdemossa magic place located on the foothills of Sierra de Tramuntana. This place became well-known and famous thanks to Frederic Chopin and George Sand. It looks really impressive! Coves d’Arta, Coves de Genova.. fairy-tale like underground galleries..
Those are just few of many more places worth seeing. Many golf courses are well prepared for all those who enjoys this sport. What’s interesting Alcanada golf course is rated really high in world ranking and it’s famous for being one of the most finest. Natural beauty of the island, it’s mild climate plus Catalan mentality of very kind and good-hearted residents makes Mallorca a place in which you can easily fall in love at first sight. It’s a paradise for tourists and water sports lovers. 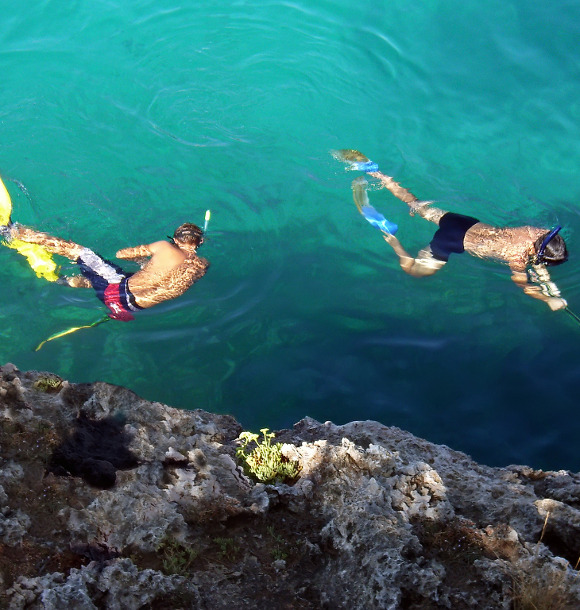 Windsurfing, kitesurfing, snorkelling, diving… Whatever you wish! For those who like the nightlife , second famous island after Ibiza, Mallorca will suprise you with variety o night pubbs and clubs. Wonderful sunrises and sunsets… This diversity makes it almost waste of time to go to sleep here. R&R (Rest&Relaxation) … if you want to rest and spend time in a calm and peaceful way, you will also find a place for yourself on the island… If you want to sightsee and get to know culture you won’t be bored. If you want to sail around the island you can rent a yacht… No matter what you interested in the most in mallorca you will find something that will take your breath away. Priece Brosnan and Michael Douglas with a good cause have bought therir properties right here in Mallorca.